Once again, we come to the Holiday Season, a deeply religious time that each of us observes, in our own way, having fun, buying great deals and enjoying the merry time with friends and family. In fact, this season, we became jolly such that we elves try to stick to the four main food groups: candy, candy canes, candy corns and syrup – Joyfully sweet! The glory of successful and happiness shed over us throughout the year in 2014. 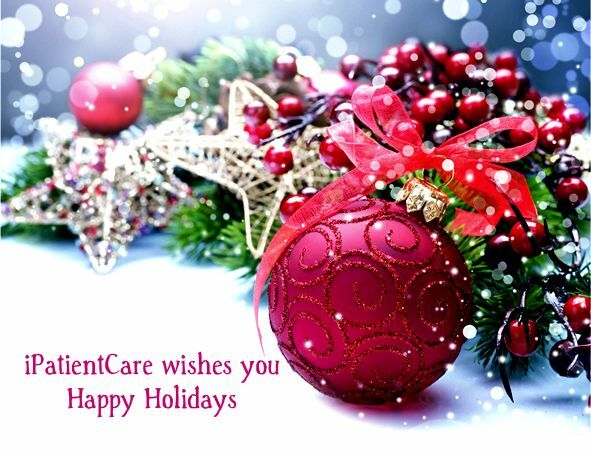 At the onset of this auspicious cheerful time, iPatientCare giving you a bunch of warm wishes for Christmas and New Year. We are pleased and proud of working with all our customers, business partners and channel partners. With all of you, we are looking ahead the years of great success and development of all the ventures connected with us. The end of the season is also a miraculous time for being grateful for the wonderful remembrances of the previous season and wish for the great times forward. iPatientCare experienced the incredible satisfaction by getting wonderful reviews from the customers in this year and for having a group, who is continually making a beneficial participation towards its development. So let’s cherish each moment that the year shall behold and celebrate a blissful start together in 2015.